I have quite a treat for you today. I have discovered a new box that sends you DIY projects each month, and I just love it! 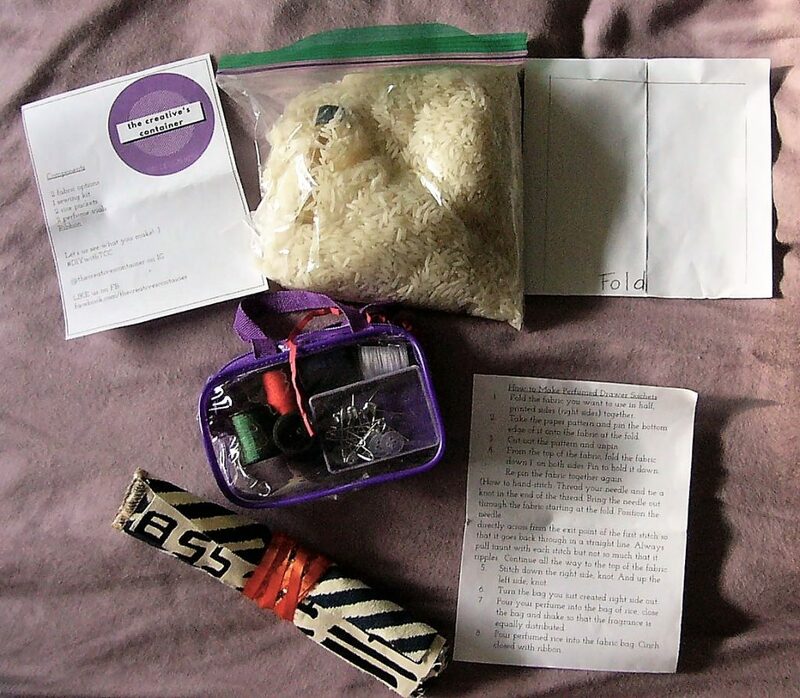 The box comes with everything that you need to complete the project, and it is a great way to get your craft on. The box is called The Creatives Container and I am sure that you will love it! Enjoy! Packaged in re-usable containers, each delightful delivery brings the opportunity to learn how to make beautiful things from the comfort of home. High-quality materials and tools used by professional designers. Fashion-forward design projects created by a fashion industry veteran and a graduate of the world-renowned Fashion Institute of Technology. Easy-to-follow instructions enclosed PLUS online videos in case you get stuck. Each reusable container is jam-packed with enough materials for sharing! Invite a friend over for a fancy craft night! Learn new skills without leaving home! Great for hobbyist or entrepreneurs! The Creatives Container is a delightful box that brings DIY projects to your door! I couldn’t wait to try out this box because I absolutely love crafting. 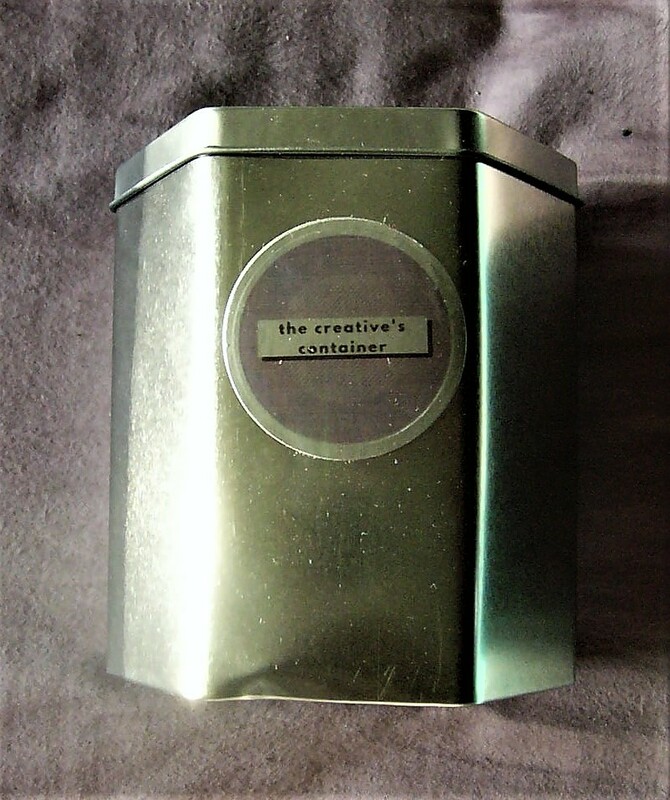 The Creatives Container comes in a reusable tin! Inside is everything that you need for the provided project. I really appreciate the reusable aspect of this box! The project in the box that I received is for making Perfumed Drawer Sachets! 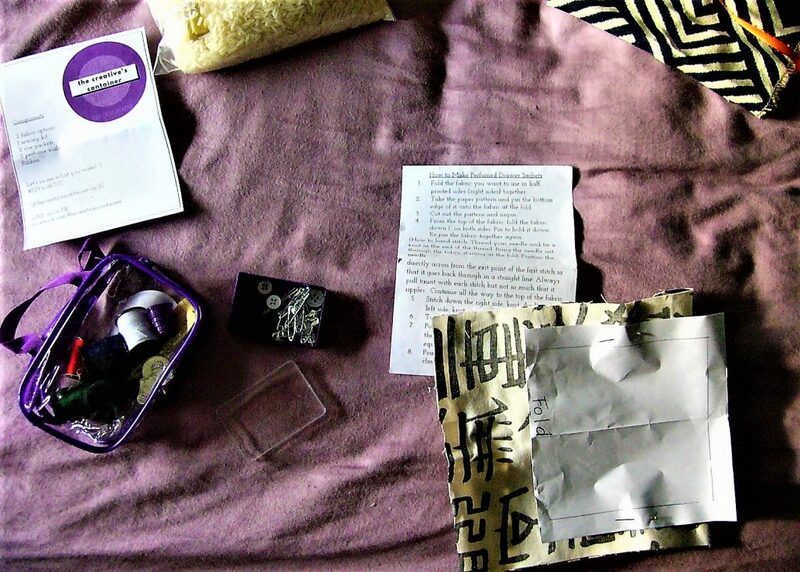 The box came with fabric, a sewing kit, rice, perfume oil, and instructions on how to make the sachets. The instructions were very easy to follow, and I liked how the box included a pattern to pin onto the fabric! This helped me to be able to cut the fabric to the correct size. The project came with a couple of different fabrics to work with, so that variety was nice! I also never needed any other materials than what was given to me. That is something that I really appreciate! There is nothing I hate more than needing another material halfway through a project. Here is my finished project! I love the heavy duty fabric and the sweet scent of the sachet. 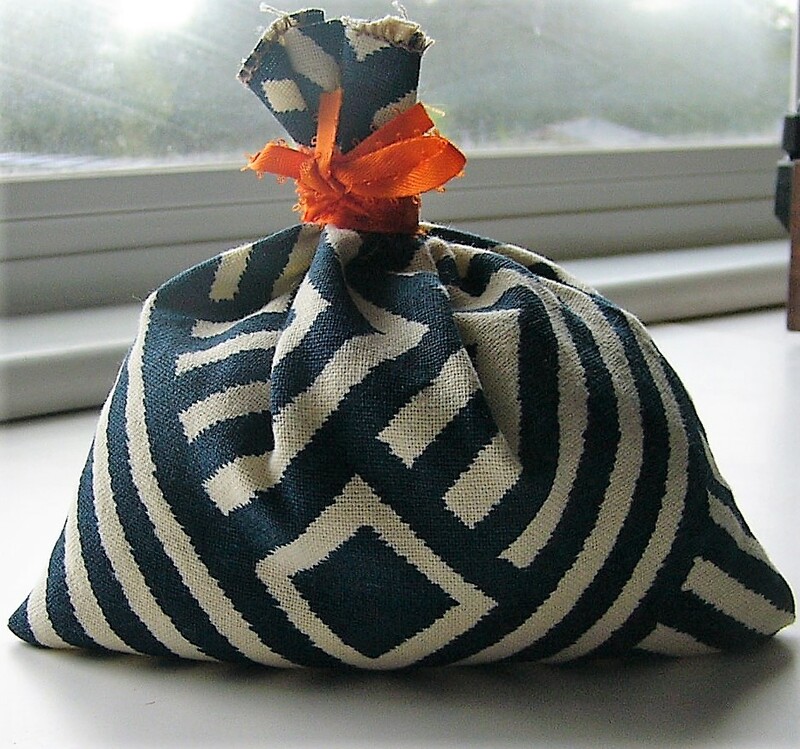 It is perfect for putting in the bathroom or in a clothes drawer! The kit comes with enough materials to make two sachets, so this is my first sachet. Final Thought: The Creatives Container is a great box for anyone who wants to try out new DIY projects! I love the thought that goes into creating the projects and providing subscribers with all of the materials needed. The box is also very fairly priced considering the cost of DIY materials nowadays. It is clear to me that the owners of the box are very educated in what they do, and I would happily get their box again. 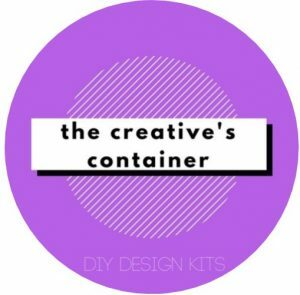 If you love DIY boxes, then The Creatives Container is a must!